Fibrehoods, a joint venture between RMB Holdings and Waterfall Investment Company, has announced plans to extend its 100Mbit/s fibre-optic broadband services to more homes in Gauteng. 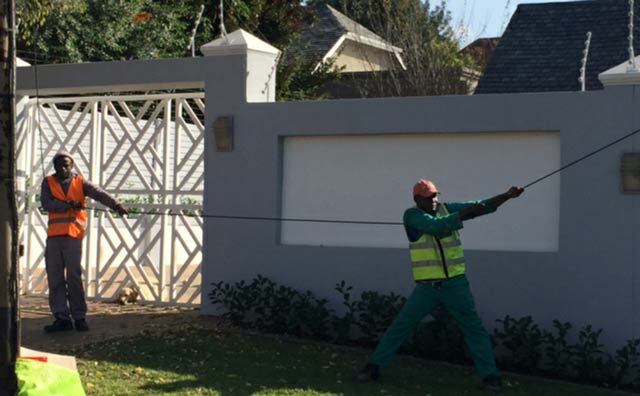 The company is currently deploying fibre-to-the-home (FTTH) broadband in Craighall, Craighall Park, Atholl, Inanda, Illovo and Dunkeld, with connectivity to these areas set to be completed by the end of the year. Fibrehoods project manager Dave Fisher said the company is feeding the fibre network to Vandia Grove, Beverley Gardens, Bryanston Extension 3, O’Summit, Kensington B and Bryanfern and will begin the roll-out process to homes in these areas within the next few months. Bordeaux South will follow. The provider uses an aerial technique to deploy fibre into homes, which it says allows it to deploy infrastructure quickly and cost effectively. Yes, but hanging fibre optical cables from the telephone lines does nothing for the aesthetics of the neighborhood. Phuk the aeswhatchamacallit’s, when are we gonna get some fibre here on the East Rand? These buggers just cherry pick the Northern suburbs and leave the rest of us out in the cold! You can hang your fibre on my street any time you like pal. We will end up like the US neighbourhoods with cables *everywhere*. OTOH, I think most of us would trade off some aesthetics for fast, reliable, low-cost net access.